HONOURING THE Best of the Best, is a perfect fitting theme for the Lilizela Tourism Awards 2018. 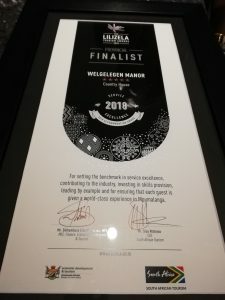 As such Mpumalanga Tourism Agency & Parks hosted its provincial awards and (my gut feel) tells this province will walk away with more than what they’ve bargained for. One of the winners on the evening at the Mpumalanga Lilizela Awards ceremony held last week at Emnotweni Arena. All images SLM. The pomp ceremony was held at the swanky Emnotweni Arena, were 34 finalists were presented with awards for their efforts. Only 32 will then represent the province at the finals. Mpumalanga received a total of 110 entries for 2018 compared to 170 received in 2017. Vomba Travel & Tours managing director Khimbini Hlongwane says the nomination came way too early considering they only began operating three-years ago. Smiling from ear to mouth – Khimbini excitedly indicated he’s positive they will bring the national award home. 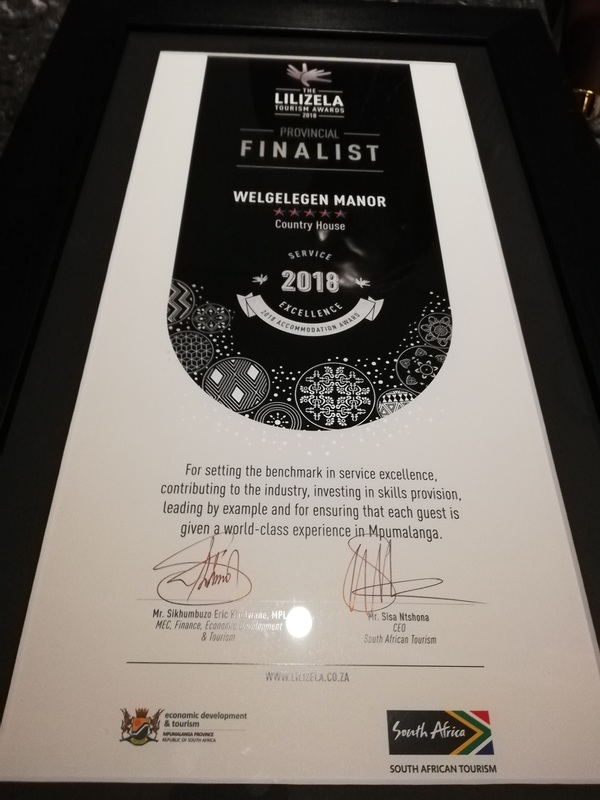 “We worked hard to be at the stage where we are thanks to the confidence shown by my colleagues, the industry in the province and clients. My feeling is we shall bring it home. The nomination means more hard work, delivery of proper service and this also markets our brand on another level,” says Vimbini- who has been in the tour guide industry for 22 years. As a company, with only three years in the game -our message is directed to emerging, young tour companies: its possible, as long as you keep knocking on that door, he said during interview on the sidelines of the ceremony. Lilizela– a Nguni word loosely translated to ululate- celebrate tourism businesses that showcase best business practices, quality assurance and service excellence contributing to making South Africa a globally competitive tourism destination. “We would like to congratulate all the finalists and winners. Each year we are encouraged by the quality of products and services that enter the Lilizela Tourism Awards. These awards are our way of recognising the hard work in setting the bar high and helping to make South Africa such a highly regarded must-visit destination, for local and international tourists alike”, says Johannes Nobunga, CE at MTPA. MEC for Economic and Tourism in the province Sibusiso Eric Kholwane, in a tongue with cheek, said a leader should be innovative rather authoritative, a reference to both CE at MTPA and board-chairman Thulani Nzima for a splendid work done at the agency following its unqualified report. Kholwane said as a result of their work, there has not been political aspersion cast on board-members since its appointment, and this has reflected on MTPA’s mandate that has produced capable candidates for Lilizela Awards nationally. Nzima confirmed the South African Tourism has expanded categories for this years’ Lilizela Awards. The Lilizela Awards national ceremony will be held in Gauteng, November 17 at Sandton Covention Center. Fashionista and Cycad Lodge representative at the MP Lilizela Awards. Meanwhile, MTPA will again open some of its nature reserves as part of the Parks Week from 17 – 20 September 2018. Its an annual event aimed at encouraging locals to visit the provincial Nature Reserves during the month of September in order to promote a culture of travel. The free access into the selected nature reserves is strictly for day visitors only and does not include accommodation and other tourism activities on offer at those reserves. The free access is also applicable to groups of not more than 20 people. In order to be allowed free access, visitors will be required to present their South African Identity documents or valid South African driver’s licence.